There are two types of bloggers. 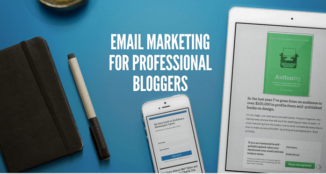 The bloggers who understand the importance of building an email list and the ones that do not. 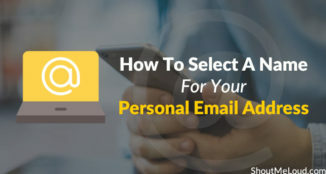 If you are the first one, you will thank ShoutMeLoud for introducing this killer technique to build email list using Facebook ads & If you are the later one, then this post is not for you. 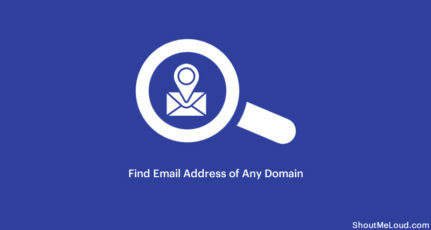 I would recommend you to go ahead and read more about the importance of email list building. If you know and have experienced the power of an email list, then read on! 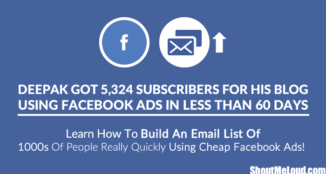 In this post, I will show you how to build an email list of 1000s of people really quickly using cheap Facebook ads! I will show you what I have done, and you can simply replicate it! It all started when I was a little bit frustrated on how slow my list was growing. I am getting around 30-40 subscribers a day organically and to reach 1,00,000 subscribers it will take me 10 years! And one of my goals is to have 1,00,000 subscribers for my blog. Imagine the amount of traffic and sales I can generate with one email blast! If I write a blog post, a single email would result in 1000s of people visiting my website, instantly! That’s a sweet moment for any blogger. Not to mention the amount of affiliate sales I can generate. Since I’m a new age digital marketer & love experimenting, I experimented with Facebook ads and I suddenly discovered that Facebook can be a great source of email list building, if you do it the right way. I am sure that if you are a blogger, you will also want to grow your email list quickly. If you are getting organic traffic to your blog, chances are that you are not getting more than 100 subscribers a day – unless you are as big as ShoutMeLoud or SmartPassiveIncome. I can also agree to the fact that for many bloggers, paid advertising is an alien territory. You will end up wasting money on paid ads if you don’t know what you are doing (the fear the keeps most bloggers from trying paid advertising). Believe me, paid advertising can work wonders if you can make it work for you! And you can start getting comfortable with paid advertising by spending small experimental budgets on various channels. Paid advertising can work wonders if you can make it work for you! Recently I was able to build an email list of 5,324 subscribers with a budget of around $0.25 per confirmed subscriber. Whatever I have invested in list building so far (around Rs.80,000 to 90,000 [ $1344] ), I have already taken the investment back in terms of ebook sales and affiliate promotions. Now I can do this again and reach 1,00,000 subscribers eventually. Note that those who have purchased products from me, still remain my subscriber and hence they are more likely to buy something from me again! 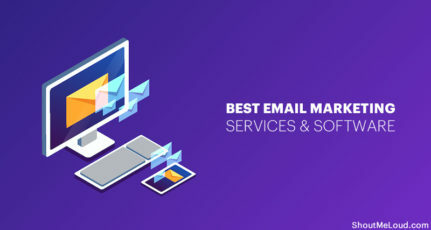 If you are going to build email lists using paid marketing, the best you can expect is to take your ROI within 60 days, but in the end of 60 days, you have not made any profits, but it is as good as getting thousands of subscribers for free. This is also called a self-liquidating acquisition. If you build an email list and a relationship with that list, then you know it is easy to sell affiliate products or your own products to them. Your subscribers will know who you are and they will feel that they know you – and they will be more comfortable buying from you! Irrespective of whether you run paid ads or not, you need a strong lead magnet for list building. You need to give people are the reason to give away their email ID. It could be an ebook, a tool, or a free course. If I tell people to give me their email ID so that I can sell stuff to them later, obviously they wouldn’t want to give me their email ID. Also, just asking people to subscribe to your newsletter with no obvious benefits listed is a recipe for low conversions. You have to “ethically bribe” them to let them sign up with you. Build trust with them by providing great value for free and then you have a permission to promote an offer to them. You essentially “earn” a permission to promote an affiliate product or your own product because you have created a lot of upfront value. In my case, I built a free digital marketing course that I could give away. I worked a lot to create this course, and I believe the appeal of a free course is much more than a free ebook. 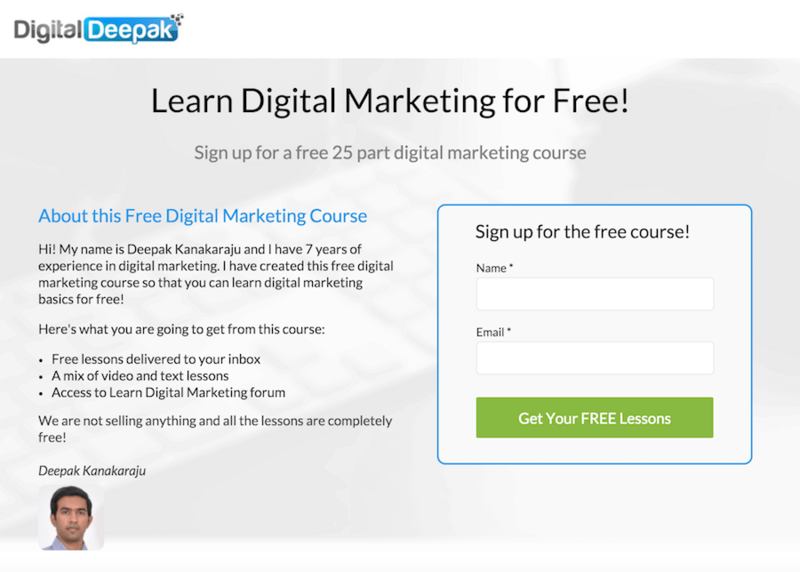 I am gaining subscribers for this course through the options on my blog and through landing pages. The blog options are organic. Paid traffic is driven to the landing pages. I used organic traffic to do split testing and increase the conversion ratio. During the split tests, I discovered the best words to use that will give the maximum conversions. In my blog I use OptinMonster for optin forms and Unbounce for landing pages. Small changes can lead to significant improvements in the conversion ratio. For example, the first version of my landing page did not have my profile picture in it. But after I create a variant of the landing page with my picture near my name, the conversion ratio increased by 10%! The tools do not matter much. You can use any tool to create landing pages or even code your landing pages. If you are using WordPress, you can integrate Unbounce or Leadpages with your WordPress blog. It will sit as one more page in your blog. Or you can use tools like Thrive Content Builder to build landing pages. The important thing here is to give an offer that your visitors cannot refuse. Also, in the process make sure that your conversion ratios are as high as possible by testing it. For my landing page, I achieved a conversion ratio of more than 55% on any given day. The numbers look small in the landing page stats because I keep resetting the numbers once in a while and do a lot of A/B tests. Conversion ratio is not just about the landing page, but it is also about the targeted traffic that you drive to your website. If you drive un-targeted traffic, the landing page will not convert well even if your landing page usually performs well. Once your landing page is ready, you can drive traffic to it from any free or paid channel. I drive traffic to my landing page using my blog, Google AdWords as well as Facebook Ads. However, I track them separately so that it is easy to calculate the ROI. With Facebook Ads, I have been able to achieve a cost per lead of $0.33 for highly targeted audience who live in the top 5 cities in India and have shown interest in the topic of “digital marketing”. You can see that with just the campaign shown about I have generated 1,008 subscribers. These are double optin confirmed subscribers. 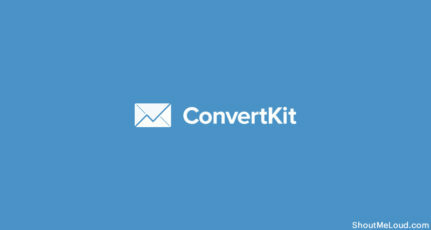 I have put the Facebook conversion pixel on the thank you page that appears after they have confirmed their email ID. I recommend that you install the Facebook pixel on all the pages of your website just like Google Analytics. You will be able to get insights into your audience metrics that you will not get from other sources. You will be able to find out what % of your blog’s visitors are college graduates. You can also run re-targeting ads for your audience if you have the FB Pixel installed. When you show ads to a small set of audience, the cost of the ads goes up gradually because you are showing the same ad to the same people again and the engagement goes down. The green line in the lower part of the above image shows the cost per result. It start at $0.22 per conversion and then gradually went up to around $0.45 per conversion. I stopped the ad campaign and created a new campaign. When you create a new campaign with a new ad copy, the cost per result will be very low in the beginning, and gradually it will start to go up. One of the main reasons is that people who see the ad for the first time are more likely to click on it, but people who see the ad again will not click on it that much – which means that your CTR will go down and your cost will go up. In the recent new campaign that I started again, I have started getting $0.16 per conversion again. This time, I improved the ad copy, and you can see that 97 people out of 7,882 people who have seen the ad have converted (not just clicked!). That’s more than 1% impression to conversion ratio. This is in a world where just clicks on display ads hardly get 0.2% conversion! The performance depends on the ad copy and the targeting. If you are showing the ad only to the people who are most likely to convert, then you are saving money on impressions that would be shown to people who may not convert. Your ads have to be targeted to the right audience if your campaign has to work. This is the most important step in paid campaigns. In Google, we target people based on what they search, but in Facebook, we target them based on who they are. In certain cases, Google works better and in certain cases Facebook will work better. The secret to getting a low conversion cost is optimization. When you are running paid campaigns on Facebook, you have to test it with multiple images and headlines. Experimentation is the key to getting a high conversion ratio. One of my best-converting ad copy is this one shown below. (Feel free to replicate it). It grabs the attention of people (for obvious reasons), and there is enough contrast in the ad. While scrolling through the feed, it is difficult to miss this ad. Facebook allows you to have 20% text in your ad, and I made use of that real estate by including text in the ad. The ad is usually posted as an update in your page and for the audience looking at it, it looks like an update from the page they follow. The only difference is that it shows as sponsored in the top. Apart from people clicking on the “sign up” button on the ad and visiting my landing page, they also visit my page and like my page. I have gained more than 3000+ likes to my page as an offshoot result of this ad campaign! You can also notice that this post has been shared 13 times, and that brings some free organic traffic to my landing page as well! This ad campaign has given me 541 conversions till today at just $0.18 per conversion. The amount spent is less than $100. With 541 subscribers, I can easily get an ROI by promoting ebooks and affiliate programs! One of the most important things I did with this campaign was that I let Facebook optimize the ad for conversions, not clicks or impressions. If you are optimizing for impressions, then Facebook will try to show the ad to the maximum number of people irrespective of how many people are responding to your ad. 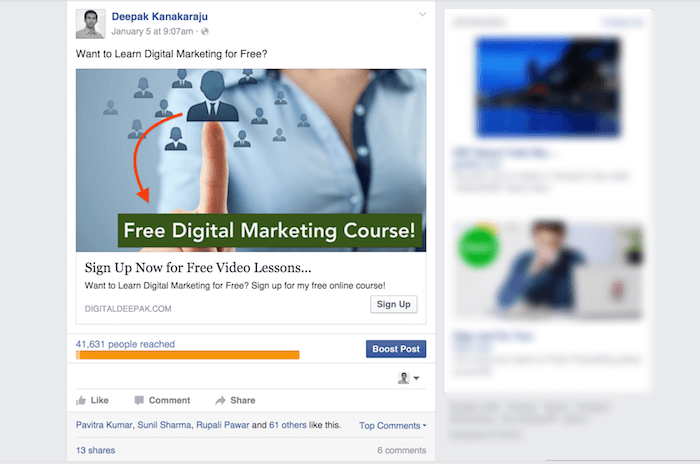 If you Optimize for clicks, Facebook will show your ad to the people who are more likely to click on your ad. 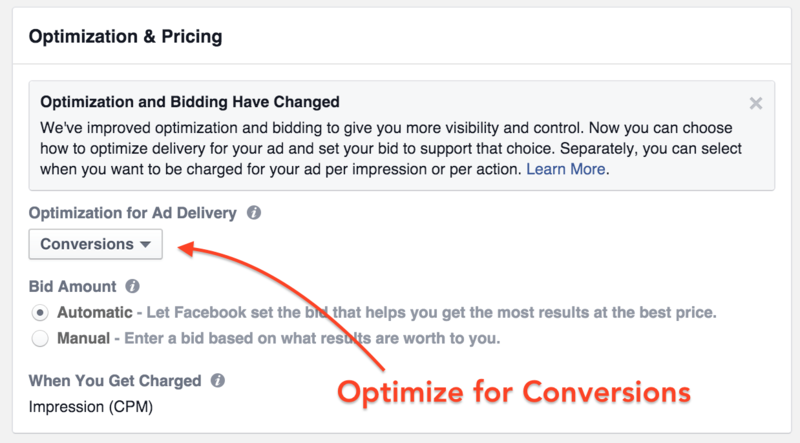 But when you optimize for conversions, Facebook will show the ad to the people who are more likely to convert. For running such a campaign, Facebook Pixel is a must, and I recommend that you have it installed on your website for at least two weeks before you start the campaign. You will have the option to optimize for conversions when you edit your ad set in the power editor. However, note that Facebook will only try to optimize for conversions, but the end of the day they will charge you for impressions (CPM). The trick here is to run the ad for sometime and let Facebook learn and optimize your ad campaign automatically so that it is shown only to the people more likely to convert. Facebook has so much information about each user on their system and looking at the existing conversions; it can intelligently predict who will convert. That’s the main secret of getting 1%+ conversion ratio from Impressions to Subscribers. This experiment is a limited time campaign that I am running but obviously I will not do it forever. Once I reach a good level of subscribers using paid ads, I will stop and let the organic growth take over. Paid ads behave erratically, and suddenly your costs will go up if the competition goes up. So you have to be careful with that. Monitoring your ads several times a day is very important when you are running ads like these. I hope you have got some inspiration from this post. 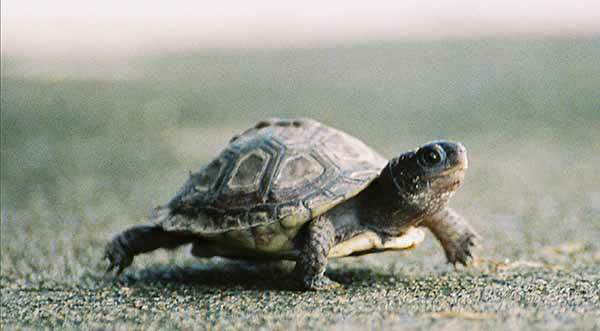 Hopefully, you will venture into paid ads slowly and carefully and grow your blog faster! All the best. I have been thinking to promote my new business via facebook. There aren’t many articles out there on facebook ads marketing. I hope this idea will work out. 2.What is the most free stuff people like? Give me your best suggestions deepak bhai. great post here, i will love to give this a trial. Although my site is a tech niche site and getting involve in facebook paid ads has been worrisome. but i believe a trial will be good since am experimenting. Major source of income is through ppc. Adsense advertising . So i hope it yield a good ROI. For a tech site, getting a good lead magnet is tough. But you can still come up with something that your visitors can’t refuse! Thank you so much for sharing your experience with us. Mail Subscribers are very useful when blog site targeting Affiliates product sell. You utilize Facebook Market Ads in good Manner. Is Facebook Market Ads Also helpful to built Facebook Fan Page users? Email subscribers are Diamond. They give blogs real traffic and real conversation that make bloggers more smart in there niche. I always love Email Subscribers, because they love our blogs first, then subscribe us and become regular audience and regular followers. Nice Article And Good Guiding inside. Yes, I also got a Facebook forum with 4,000 members now. That was fed by the email list. I get traffic, sales and comments on my blog again from the email list. Why sign up ration is so low? Are these ads being displayed to wrong category of people? This is a very good ratio. 1% is mind blowing. I know about facebook ads campaign. But I don’t have any types card. But how can I create facebook campaign without debit or credit card? I am going to publish an article on my blog about credit card alternatives and payment options soon. Stay tuned. Amazing post on Facebook Ads you got here! Email Lists are the best way to make real cash very quickly and this trick is a real goldmine for creating a huge and amazing list. Awesome. Keep us posted on the results! Check for comments and remove if there are -ve comments. Reply to comments. Check the prices of the clicks and conversions. Wow, this post solved all my difficulties in getting subscribers and drive traffic to my blog, i hope to get millions of subscribers sooner, thanks alot, Shoutmeloud for life. Oh no, I have created competition for myself 🙂 Just kidding. All the best! Nice use of facebook ad for driving traffic to website & get sign ups. But I use facbook ads for promoting my fb page. And fb page shows topics from my blog. In short it’s more easy to hit like button than typing your name & mail id for subscription. But spending 1 lac Rs is not cheap. How do you justify saying cheap? Hello DEEPAK, Thats a great Article. And yes you are right to look the ROI which one is most important part of Paid Advertisement. Please tell me that which one is more conversional between Facebook and Adwords ? 🙂 Looking for your reply. Great post Deepak, what do you guys think email marketing is best or social media marketing? how much $ you spend per day? and may I know the targeted people? Great suggestion Deepak. So Helpfull Artical. 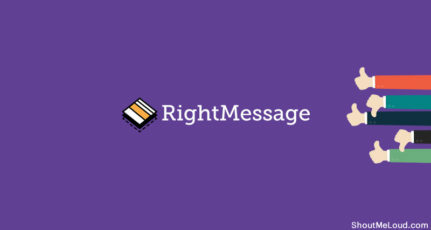 Email marketing is very important to approach relevant visitors.